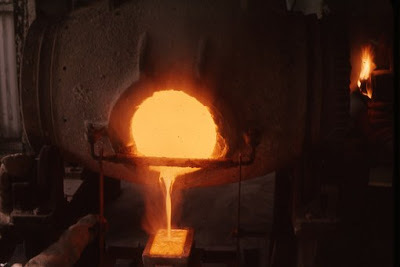 Now I think you would agree with me that being cast into a fiery furnace is a problem, but it’s also an opportunity. It’s an opportunity to see God work, it’s an opportunity to show others the supremacy of our God, and it’s an opportunity for promotion (vs. 30). Some years ago an energetic young man began as a clerk in a hardware store. Like many old-time hardware stores, the inventory included thousands of dollars worth of items that were obsolete or seldom called for by customers. The young man was smart enough to know that no thriving business could carry such an inventory and still show a healthy profit. He proposed a sale to get rid of the stuff. The owner was reluctant but finally agreed to let him set up a table in the middle of the store and try to sell off a few of the oldest items. Every product was priced at ten cents. The sale was a success and the young fellow got permission to run a second sale. It, too, went over just as well as the first. This gave the young clerk an idea. Why not open a store that would sell only nickel and dime items? He could run the store and his boss could supply the capital. The young man’s boss was not enthusiastic. “The plan will never work,” he said, “because you can’t find enough items to sell at a nickel and dime.” The young man was disappointed but eventually went ahead on his own and made a fortune out of the idea. His name was F. W. Woolworth. Problems are an opportunity. We just have to have wisdom and discernment from God to see it. ✞ Remember opportunities look a lot like problems!